Netflix famously doesn’t post viewer numbers for its original content. However, this hasn’t stopped analytics firms from occasionally conducting their own research and determining a given program’s popularity. According to Deadline, one of these firms assumed the task of examining the streaming data for Daredevil. If what they say is true, demand for the superhero series was demonstrably high through the end of last week. This makes its recent cancellation all the more confusing. Parrot Analytics specifically evaluated streaming numbers for the week ending on December 1. Their findings indicated that Daredevil “ranked fourth last week in viewer demand among all digital originals in the U.S. across all streaming platforms.” The series was outperformed by three other Netflix shows: Narcos, Chilling Adventures of Sabrina, and Stranger Things. Daredevil’s cancellation wasn’t made public until November 29. Therefore, it’s unlikely that the announcement had a significant impact on its total number of views for the week. With “close to 30 million demand expressions” accumulated during November’s home stretch, the Man Without Fear impressively managed to surpass some of the streaming medium’s most watched programs. These include Hulu’s The Handmaid’s Tale and Netflix’s flagship original series, House of Cards and Orange is the New Black. 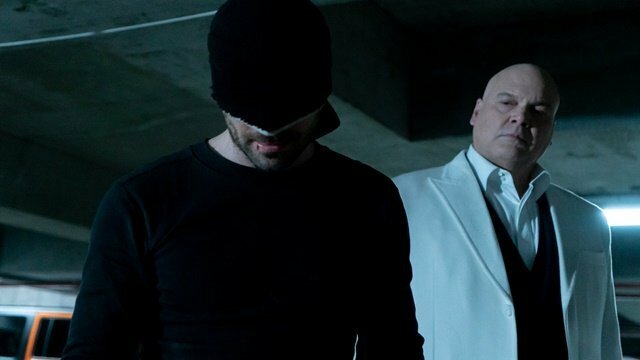 Deadline once again speculates that the launch of Disney+ largely motivated Netflix’s decision to cancel Daredevil, Luke Cage, and Iron Fist. If this trend continues, Jessica Jones and The Punisher can’t be far behind. Once Disney has its own streaming service, it will pull all of its productions from Netflix’s stable of content, including several Marvel Studios releases. Marvel has suggested that the cast of Daredevil will be able to reprise their roles in future projects. But since the studio is so unabashedly family-friendly, it’s difficult to imagine the hard-PG-13 series finding a home on Disney+. You can share your reactions to Daredevil’s new streaming data in the comment section below.